Carl Sammons began his art studies in Sioux City, Iowa, while working as a sign painter. He moved to northern California in 1913. Settling in Oakland, he traveled extensively throughout California while studying at the CSFA. By the mid-1920s he had abandoned somber pastels in favor of plein air oils. 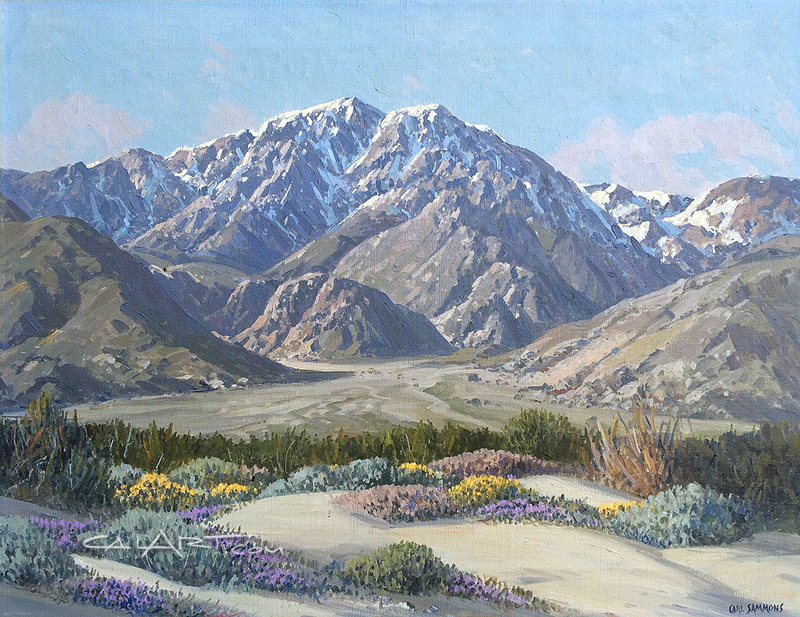 He made painting trips to the Monterey Peninsula, Russian River, Palm Springs, Humboldt County, and Santa Barbara. Sammons died in Oakland on Feb. 4, 1968. Exhibitions Calif. Industrial Expo (SF), 1923, 1926; Berkeley League of FA, 1925; Claremont Hotel (Berkeley), 1926; Alameda AA, 1920s; Calif. Industries Expo (San Diego), 1926; Santa Barbara Art League, 1928-30; Casa de Ma�ana (Berkeley), 1928-31; Courvoisier Galllery (SF), 1931, 1933; Haggin Museum (Stockton), 1931; Tahoe Tavern (Lake Tahoe), 1931, 1933; Crocker Museum (Sacramento), 1957; AAPL, 1940; Desert Inn (Palm Springs), 1939-41; GGIE, 1940; Alameda Co. Fair, 1957; Smithsonian Inst. Bicentennial, 1976; Nevada Museum (Reno), 1993; St Mary�s College (Moraga), 1997; Carnegie Museum (Oxnard) 1998; Irvine (CA) College, 2000. Collection: Santa Barbara Museum; De Young Museum; Muir Medical Center (Walnut Creek); Grace Museum (Abilene, TX).